It’s a race to the toe! 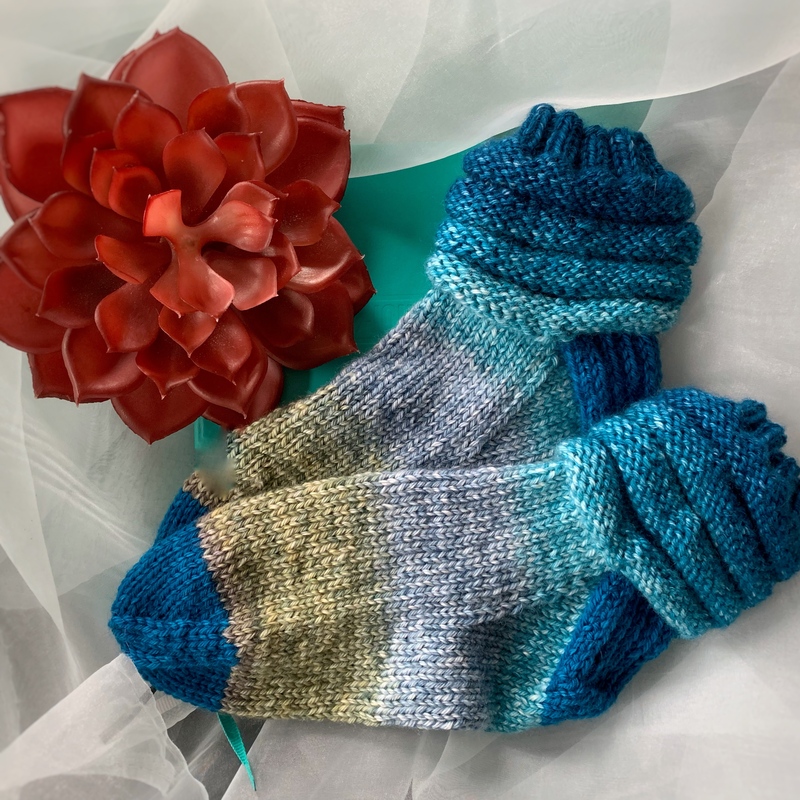 It’s a pleasure to knit these single strand worsted weight socks with Knit Circus Ringmaster Panoramic Gradient. 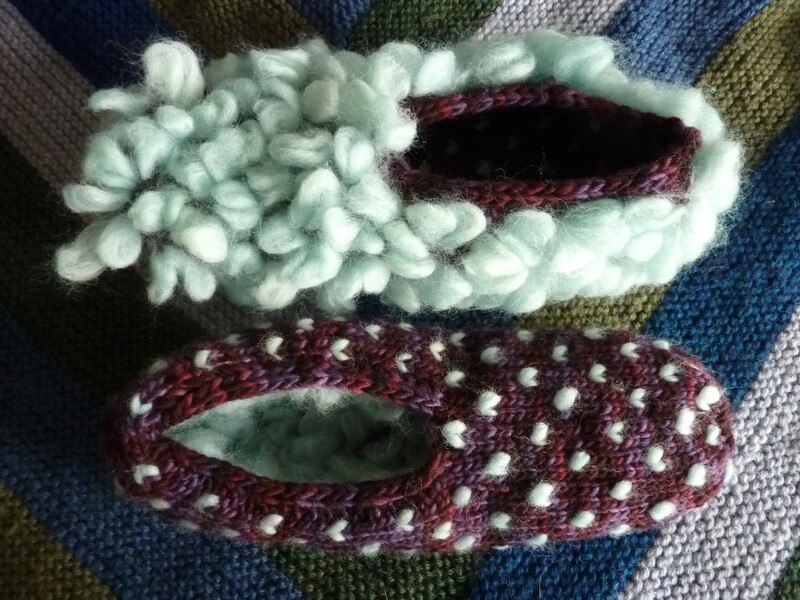 The yarn has held up perfectly after frogging the Concentric Slipper Socks. 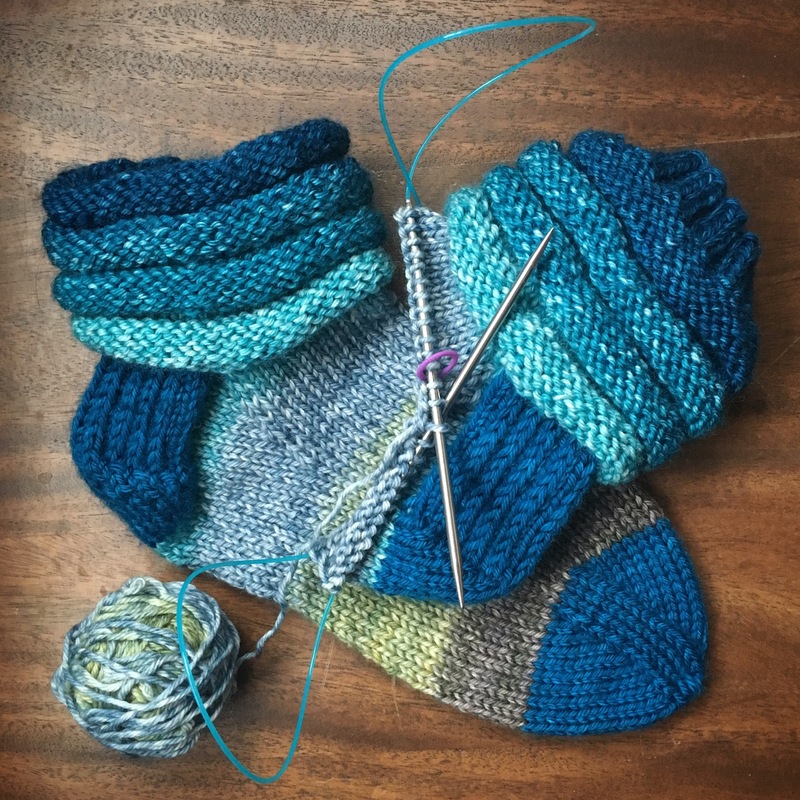 The added bit of contrasting color for heels and toes means that I can make the cuff as tall and scrunchy as it needs to be. 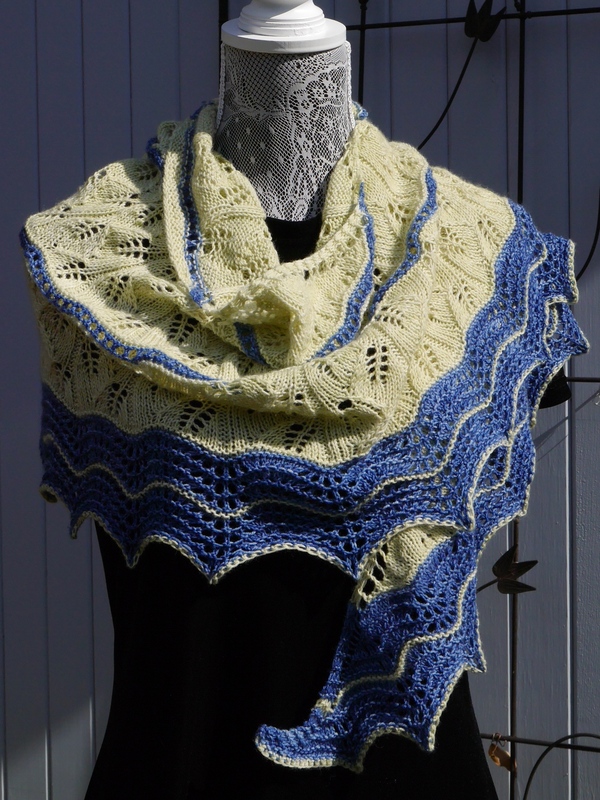 The pattern will have three sizes. 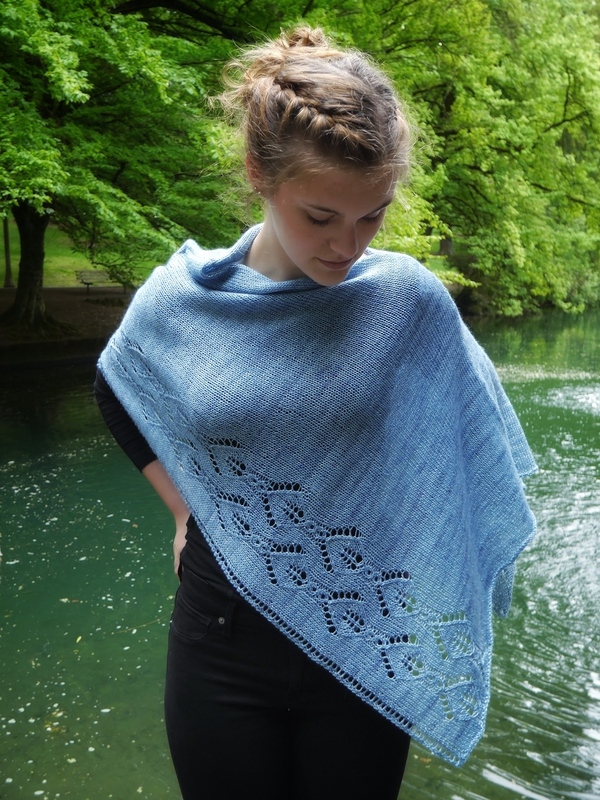 It’s off to tech editor and test knitters now. You’ll note that I’m back to magic loop. 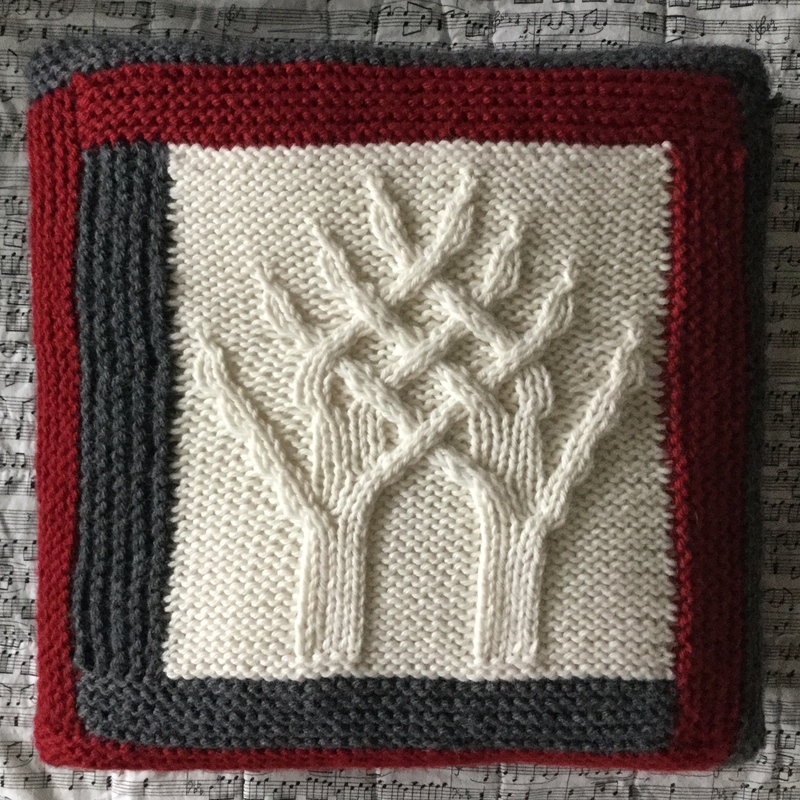 The Flexi-Flips were nice, but when I picked up the stitches for the gussets, I had more stitches than I felt comfortable with having on the short Flexi-Flips needles, and was afraid they’d go sliding off. 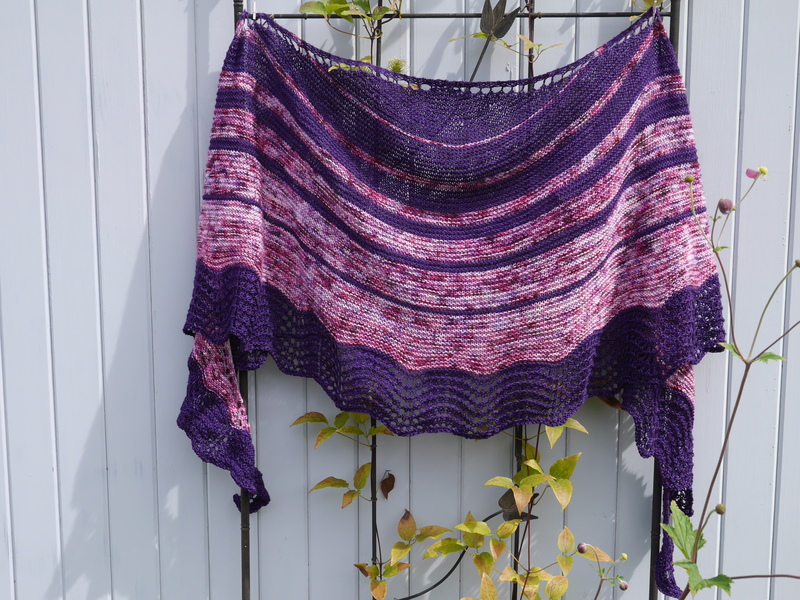 I’m back to a 32” circular, and very happy. If the Flexi-Flips were just a bit longer, or if they came in a set of four, they would have been fine. 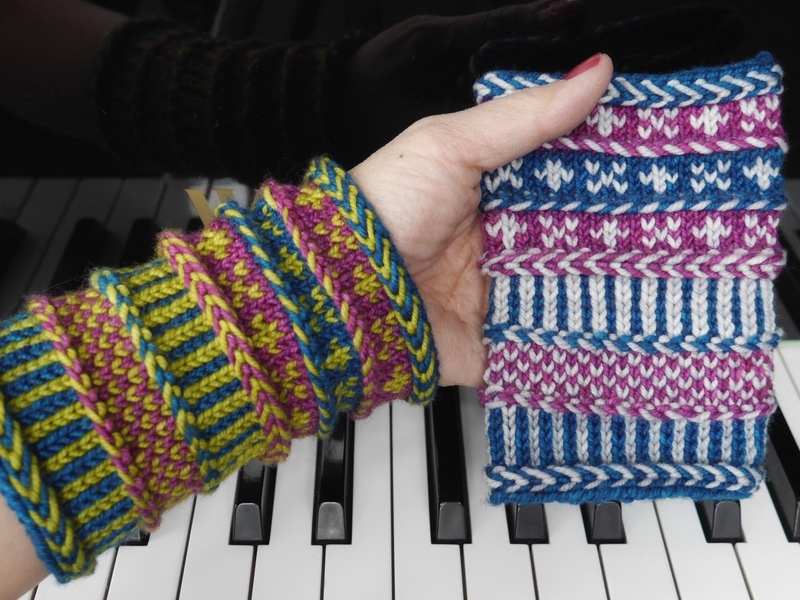 Oh, well, they’ll be great for fingerless mitts! 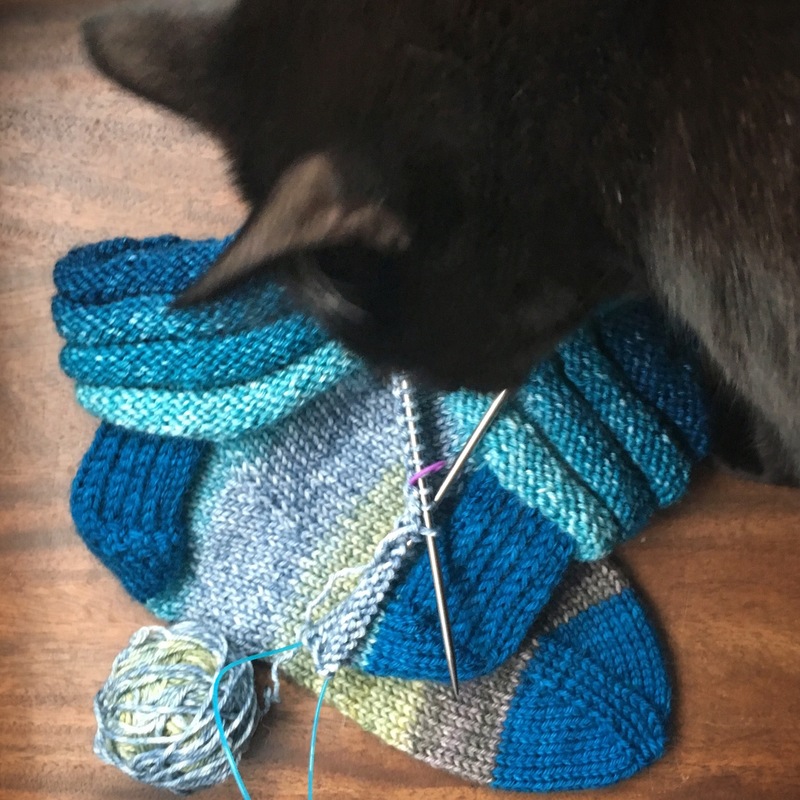 I have quite a bit of knitting help here, from the helpful knitting cats. Yadi wants to chew the cables. Biscuit has become quite a lap cat. Hope your Saturday is going well! That’s a lot of pointy bits! Kind of like my cat when I’m trying to get her into the carrier. 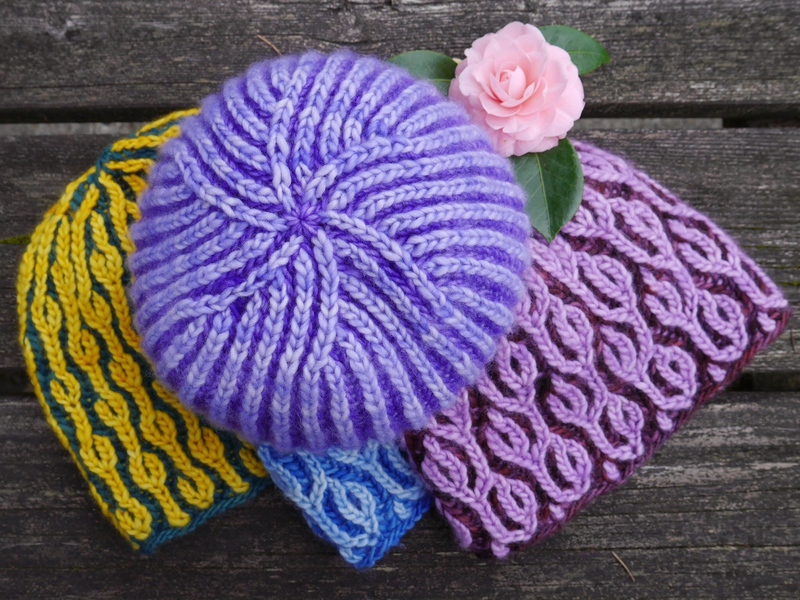 I recently taught a circular hat class at Twisted. It’s a pretty basic hat, knit bottom up beginning with some ribbing, then stockinette, and K2tog decreases to close up the crown. At some point, we move to dpns, because that’s how the pattern is written. I remember when I knit my first hat (it was about 24 years ago), I was terrified of the dpns, so I just worked the last several rounds back and forth, and then sewed the seam shut. CHICKEN! 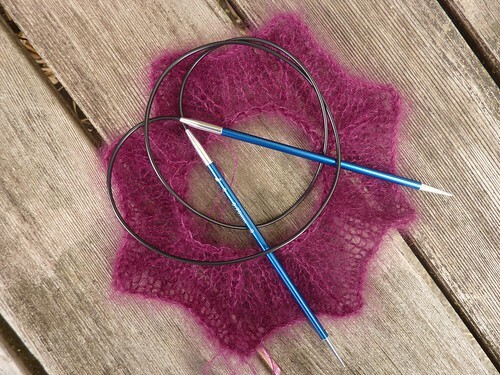 There’s been some interest in using two circulars, or magic loop, so I was asked to demonstrate those two methods, too. I don’t use them, so I taught myself a couple nights ago. Easy peasy. I had a nice flexible cable on my HiyaHiya 32″ needle, so magic loop wasn’t so bad. 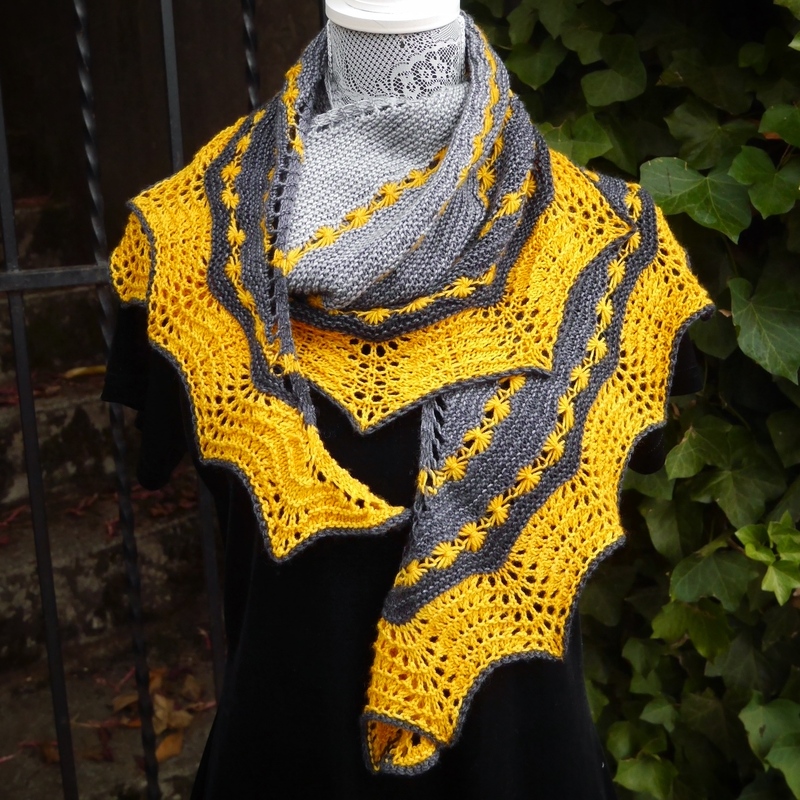 I could see using this, and might on my Honey Cardigan sleeve, when I get to decreasing. I think I’d like the cable to be slightly longer, maybe 40″ or so. 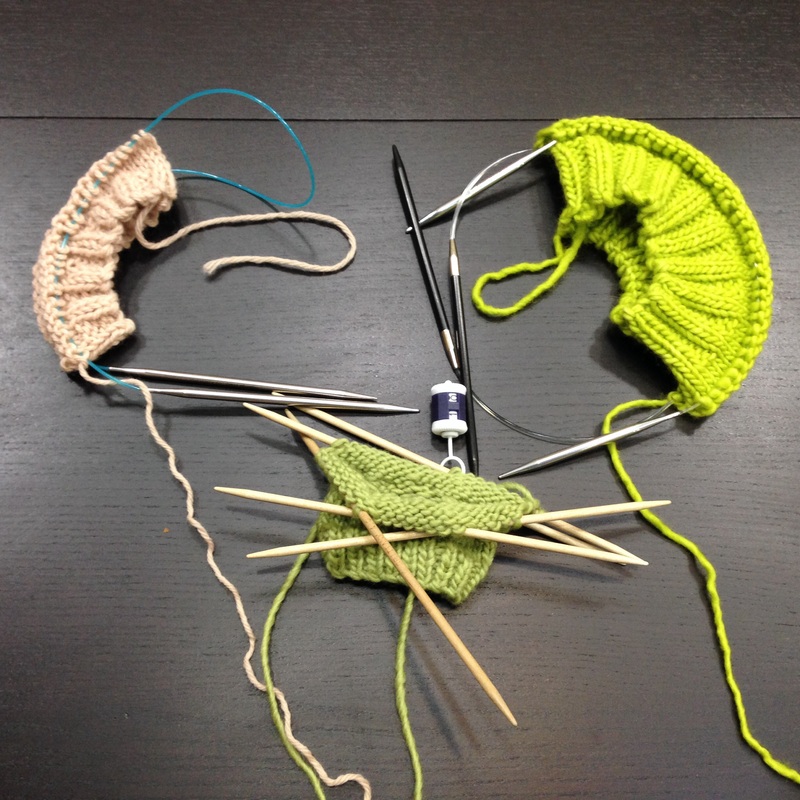 Two circulars? I can do it, but I don’t like the needle ends flapping around. It seems like an alien octopus. Your mileage may vary, as they say. 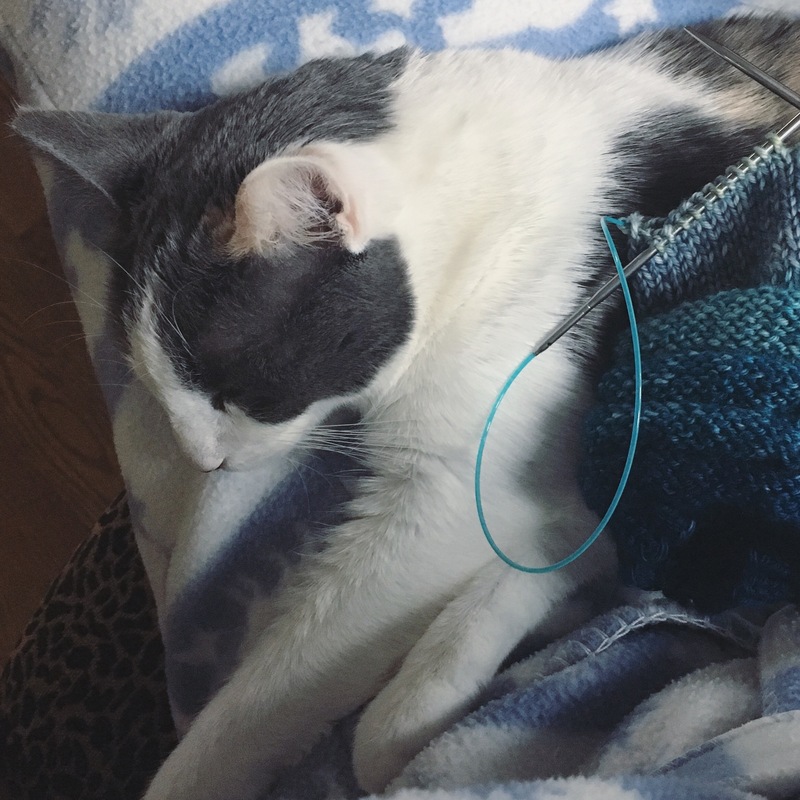 What’s your favorite method for small diameter knitting? Will it fly high like a bird up in the sky? Oh, sorry, I got distracted. 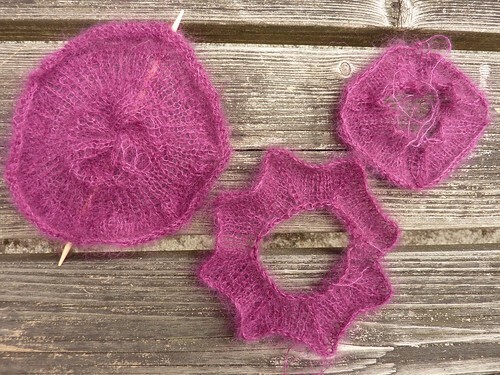 I was swatching some small diameter circular knitting yesterday for a design idea, and went through the gamut of circular knitting methods. 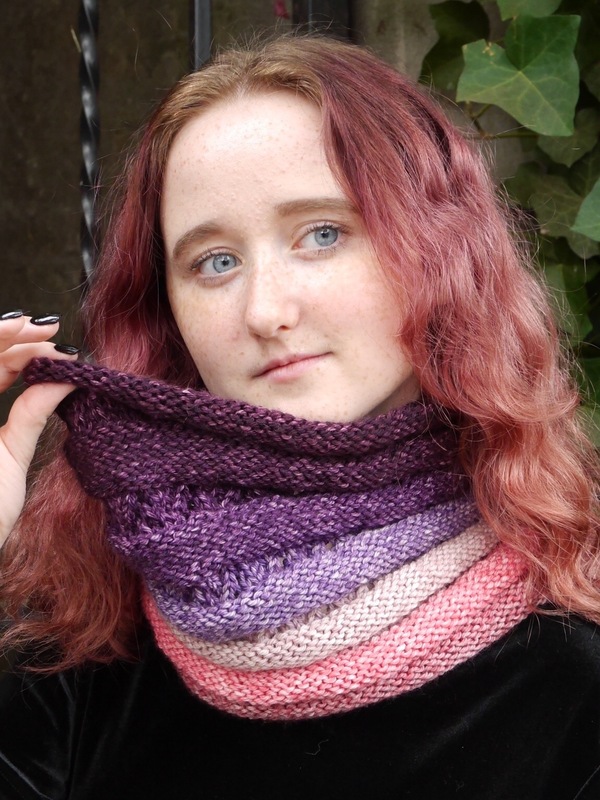 I’ve always liked dpns for small circular knitting, but it’s never too late to learn something new. I decided to start with magic loop. 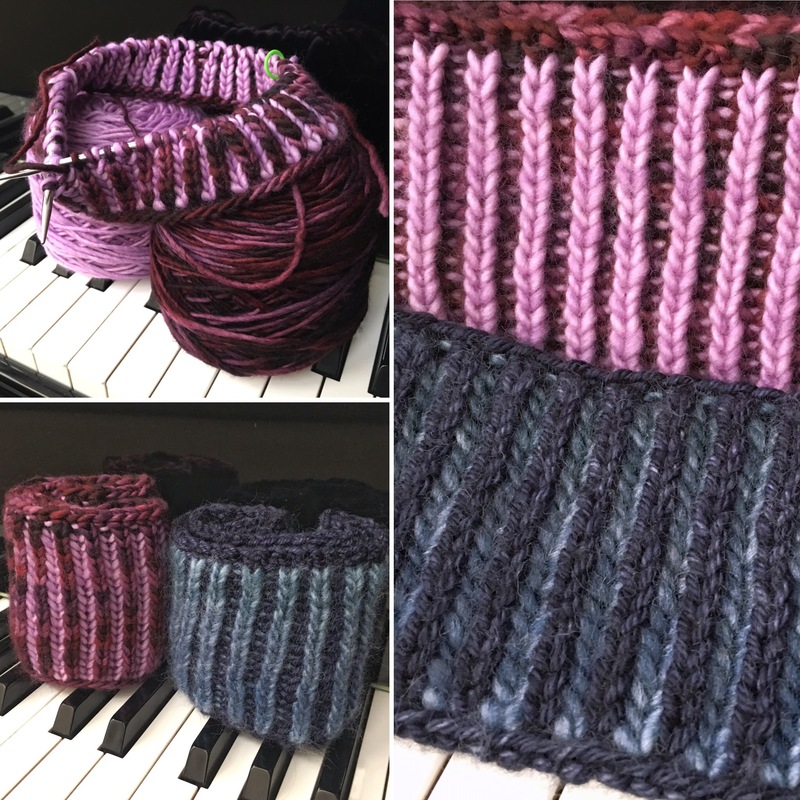 I knew that the very flexible cord on my Signature circular needles would make for a better magic loop experience than my first foray with that method. Getting started was dicey, and I think I may have knit a twist into my work which I subsequently twisted back and ignored, but I did manage to do this swatch. 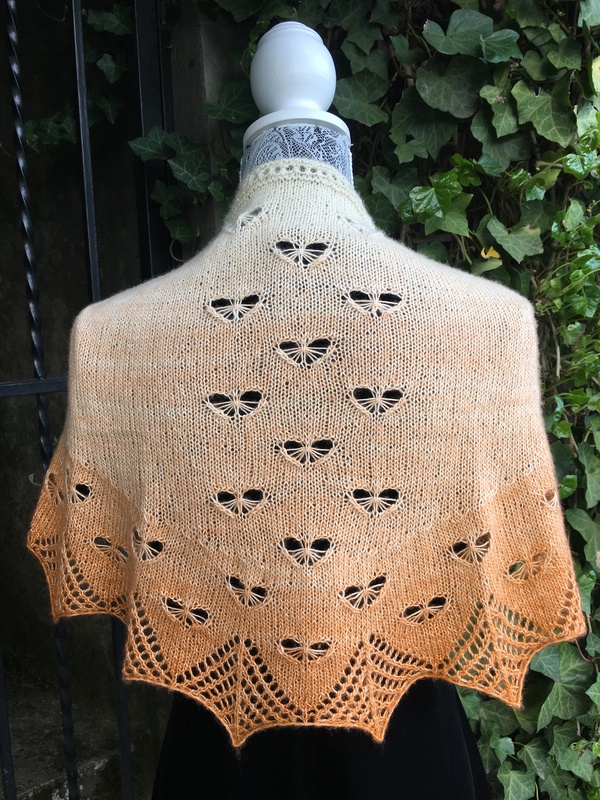 This is Schulana Kid-Seta, laceweight mohair and silk. 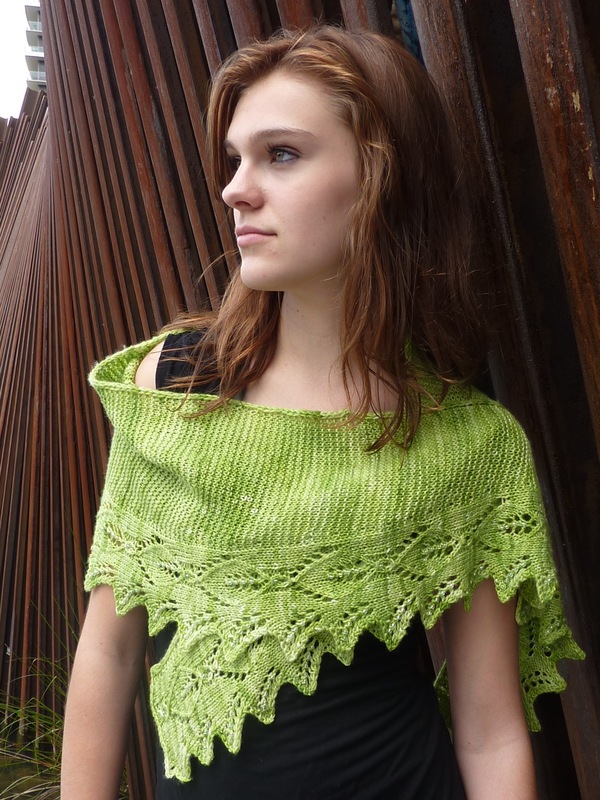 I love knitting with this airy fuzz haloed yarn, but not tinking with it! 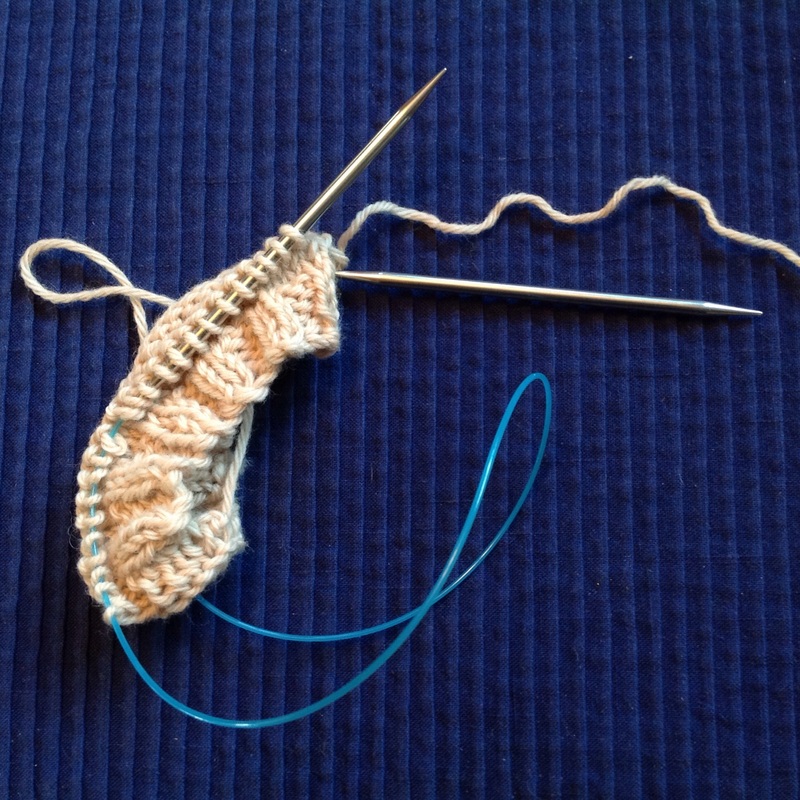 I think I could manage working magic loop with this needle. In fact, I think I could manage anything with this needle; I love its smoothness and sharp points. But alas, the gauge wasn’t what I wanted; this is a size 5 needle and I wanted the airiness of at least a 6 or 7 for the mohair. I’m not ready to purchase another Signature for just one swatch ($$$, but worth it if it’s your go-to size), so I went to the needle stash. I poked around and found a size 6 Hiya Hiya bamboo 16 inch circular, which would make a good start for 100 or so stitches. The tips were a bit blunt, but manageable. 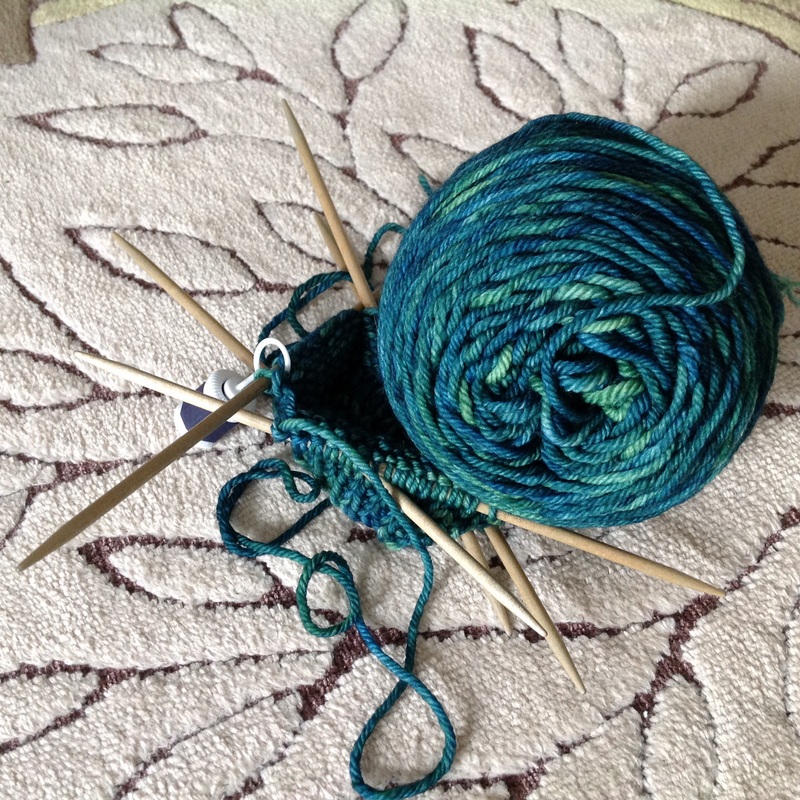 I’ve always liked blunter needles, because I “scoop” through my stitches instead of poke, but with yarn this thin and needles this big, I’m beginning to see the value in a pointy tip! When I decreased down too far to use this circular, I moved to Brittany Birch dpns. Very comfortable, but they were so long compared to the knitting, their weight seemed to threaten to make them fall out of the work. I popped in to my LYS and picked up a size 6 Hiya Hiya Sharp in stainless, 9 inch circular. This thing is tiny! I love the points but the 9 inch circular is not comfortable in my hands. Oh, well. 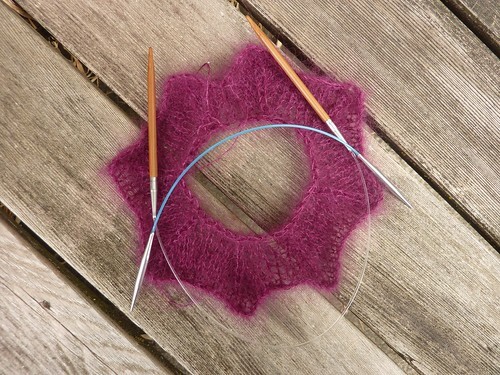 So then I thought, how about two circulars? The 16 inch bamboo and the 9 inch stainless? 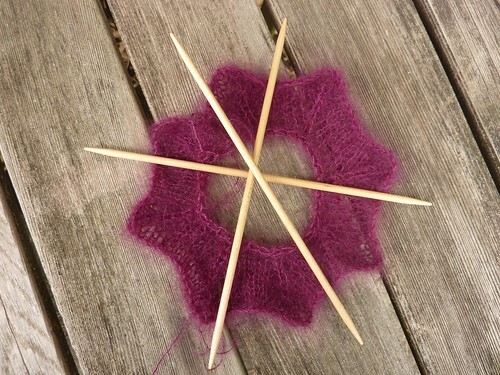 I tried that for a bit, but the tip on the 9 inch is still too short for comfort for me, because 2 circulars means working each one separately on half the stitches, and the making of a circle with the 9 inch is just too fiddly. 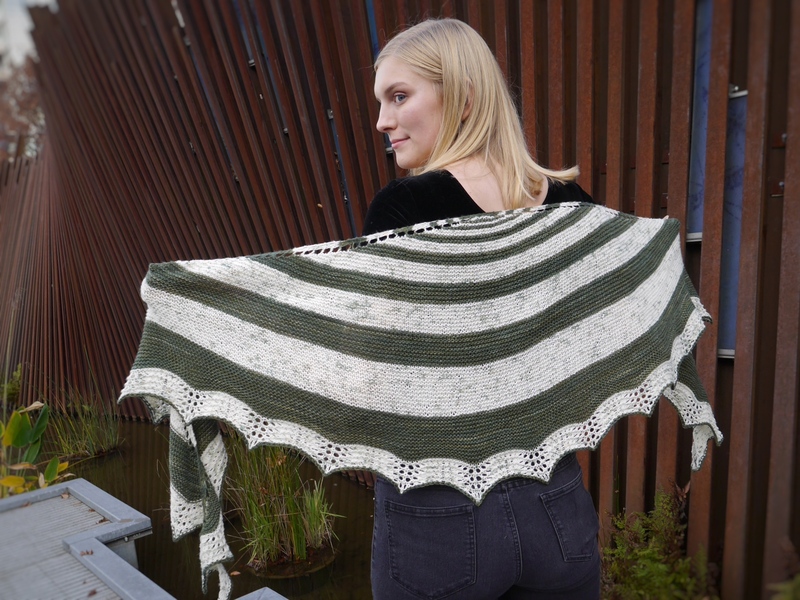 In the end, I went back to dpns to finish my swatching. If I really make this project, I think I’ll get some shorter dpns to do so. I’ll start my project on a 16 inch circular, and then move to the short dpns. 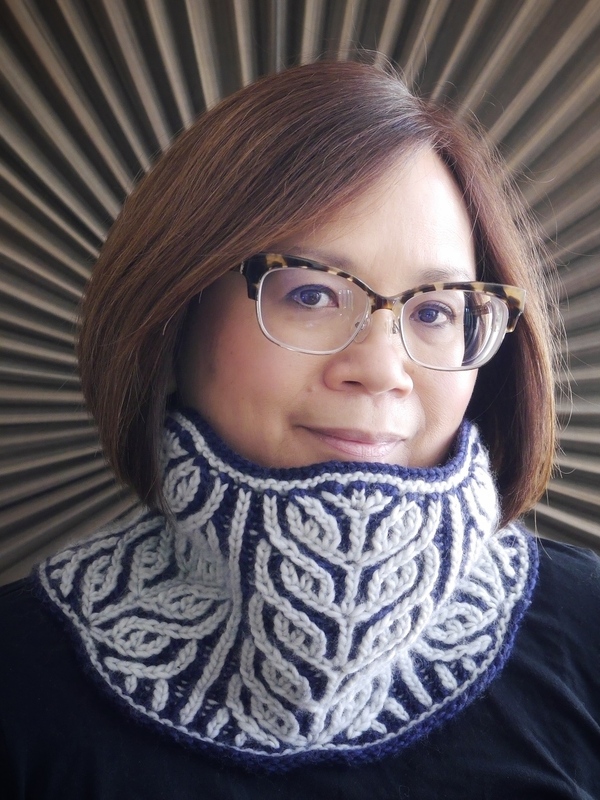 I’m just an old fashioned dpn kind of knitter, I guess. It’s great to have choices, and great to have a needle stash to play with! 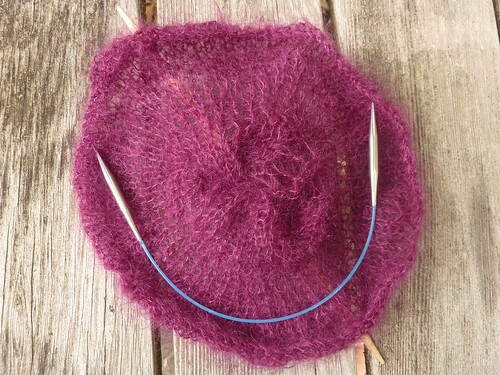 How do you manage your small circumference circular knitting? 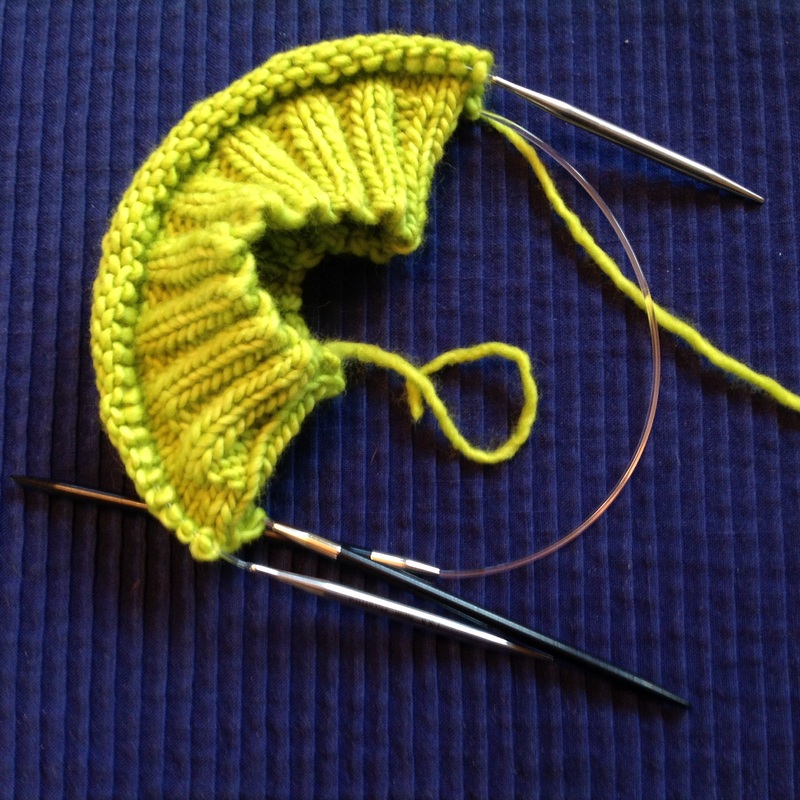 Two circulars, magic loop, dpns? Or is there something else out there?